Was directed here from another forum after a conversation about slings began, and I wanted to learn more. I've recently gotten into slingshots, and feel slings are a good parallel. I've made a couple so far, and am pretty much just slinging tennis balls across soccer fields for now. I've already had some fun browsing the forum before registering, and look forward to joining in more. 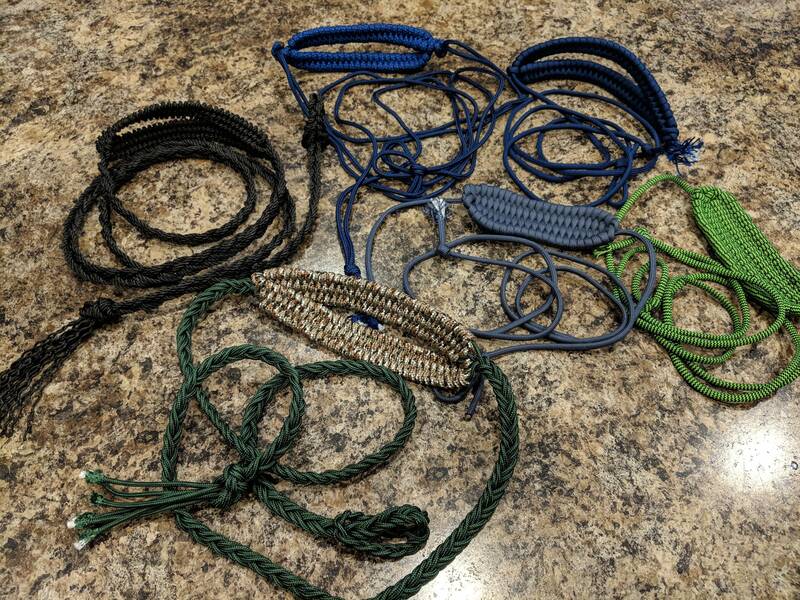 Below are the slings I've made so far. I've found more success with the split pouches with the tennis balls. Favorites so far are the two braided ones. First one is out of bank line, and the bottom one I finished yesterday with paracord. The braided paracord came out a little short, but still flings the ball. Next time I'll pay more attention to getting it longer. Welcome from Finland! Some good looking slings there.